As current events unfold it might be useful to recall Professor Martin Shapiro’s argument about the consequences of the choice made by the constitution makers to choose the courts as the forum for the conflict resolution. Such a choice entails the acceptance of “the inherent characteristics, practices, strengths and weaknesses of that institution … and some law making by courts and a certain capacity for judicial self-defense of its law making activity. The issue of whether such law making and self-defense are somehow antidemocratic or antimajoritarian is uninteresting. If the demos chooses the institution, it chooses the judicial law making and judicial self-defense”. I want to take Professor Shapiro’s proposition further and apply it to the Polish case. If the demos indeed chooses independent judges and courts as dispute resolvers and subjects them only to the Constitution and statutes (art. 173 and 178 of the Polish Constitution), the rule of law (art. 2 of the Constitution), elevates the Constitution to the status of the supreme law of the land (art. 8 of the Constitution), makes the separation of powers with checks and balances as one of the cornerstones of the Republic of Poland (art. 10 of the Constitution) and the judgments of the Constitutional Court (hereinafter referred to as the “Court”) universally binding and final (art. 190 of the Constitution), and, last but not least, inserts direct application of the constitution into the Constitution itself (art. 8(2)), the demos must then accept that courts will be ready to take these systemic features seriously and rule against the whimsical and instrumental politics of the day. It is now beyond dispute that there is a gradual constitutional coup d’état in Poland whereby the Constitution is being modified through legislative sleight of hand. In these extraordinary constitutional circumstances, the constitutional review by the ordinary courts (when I use the term “court”, I mean courts entrusted with the administration of justice and defined in art. 175(2) of the Polish Constitution) is simply a necessary and urgent response to the relentless and no-holds-barred politics of the parliamentary majority of the day. The response must have at its core self-defense of the constitutional essentials mentioned above. Judges cannot simply stand by and watch the legal order torn apart in the name of “the people”. They must defend the Republic and uphold the law. This is exactly what they are sworn to do. Nothing less, nothing more. The constitutional review exercised by the ordinary judges has been an option in Polish legal order since the adoption of the 1997 Constitution, yet proponents of the extension of the review to ordinary judges were kindly acknowledged, but their views were never taken seriously. It was widely accepted that only the Court wields constitutional monopoly and the ordinary courts would follow the judgments made by it pursuant to the Constitution. Nobody ever contemplated the situation whereby the Constitutional Court would be unable to exercise its constitutional powers as a result of a political onslaught and rewriting of the Constitution by way of statutes. The mere thought of this was unthinkable. Now, as new rules of engagement strike at the constitutional paradigms that we have been taking for granted for last 25 years, as the jurisdiction of the Court is undermined and its judgments openly defied, other mechanisms aimed at preserving the essence of the Poland’s Constitutional text must be resorted to. Of course many challenges present themselves not least the intellectual readiness of the ordinary judges to embrace the challenges of defending the integrity of the constitutional order by using this novel review. However these challenges must neither overshadow the gravity of the situation on the ground, nor deter us from searching for the constitutional mechanisms that could make inroads into the revolutionary and partisan zeal of the parliamentary majority. Marbury v Madison. 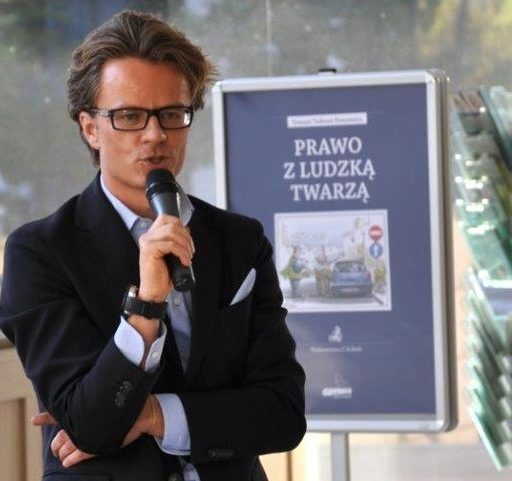 Blueprint to be followed in Poland A.D. 2016? As is well known, constitutional review in America is dispersed through the judicial system. It means that every court has the power to declare legislation unconstitutional. As such, it is not confined to a specialized court, but rather is vested in the ordinary courts that also exercise other judicial functions. This constitutional review is triggered in any case and by wide range of litigants claiming to be the victim of an unconstitutional action, and the injury has already occurred or is quite likely to occur. The US Supreme Court held in 1803 in the famed Marbury v Madison case that courts have the power to examine “whether an Act, repugnant to the Constitution, can become the law of the land. The Constitution is either a superior paramount law, unchangeable by any ordinary means, or, it is on a level with ordinary legislative acts and, like any other act, is alterable when the legislature should please to alter it. If the former part of the alternative be true, then a legislative act contrary to the Constitution is not law; if the latter part be true, then written constitutions are absurd attempts, on the part of the people, to limit a power in its own nature illimitable”. It continued “it is emphatically the province and the duty of the judicial department to say what the law is”. If two statutes conflict with each other, the courts have to decide, which one will be applied. The same goes for the conflict between the statute and the Constitution and the judges cannot abdicate their duties under the constitution and “close their eyes on the Constitution” and concentrate only on statutes instead.The seminal judgment of the Supreme Court in Cooper v Aron, 1958, forcefully confirmed that the Constitution is not only a moral advice, rather it has the force of law. This was accepted as a permanent and indispensable feature of the American constitutional system. “Emergency Constitutional Review”. What’s in a name? Views have indeed been expressed in Polish legal doctrine and voiced in the case law of the Supreme Court on the possibility of constitutional review by ordinary courts checking the compatibility of the statutes with the Constitution. However, it has been the “centralization model” that prevails and dominates the mainstream discourse. The ordinary court cannot refuse to apply the statute (presumption of constitutionality) and only the Constitutional Court is empowered to rule on the constitutionality of a statute. As long as a statute is in force, the judges are bound to apply it unless they ask the Court question(s) of constitutionality and the Court declares the statute unconstitutional. This line of argument flows from art. 178 of the Polish Constitution according to which in the exercise of their duties, judges are subject to the Constitution and statutes. As a result constitutional review as regards the statutes is centralized and exercised exclusively by the Court. The direct application of the Constitution assumes co-application of the Constitution and statutes. At most, the ordinary courts can proceed to apply pro-constitutional interpretation in the pending cases and no more. As predominant as this strand of constitutional narrative has been, there has also been a second line of thought. Subjecting judges to the Constitution and statutes could be read as allowing the judges a power to refuse to apply a statute incompatible with the Constitution. Direct application of the Constitution entails much more that just interpretation in conformity with the Constitution and asking constitutional questions on the compatibility of the statutes. In case of a conflict, the judges must follow act of the higher ranking (the Constitution as the supreme law of the land – art. 8(1)) in accordance with the lex superior derogat legi inferiori. Depending on the decision of the court deciding the case, two options would be possible. On the one hand, a court finding the statute unconstitutional could refuse to apply such a statute outright in a case it decides. Here, the court would act as a full-blown constitutional review institution, not only deciding on the constitutionality question but also mandating the consequences of such a finding. On the other hand, there is an option I call “intermediate”. Should the court find the statute unconstitutional, and yet decide to apply it nonetheless, it would be left with no discretion, but be obliged to refer the questions to the Court. In this scenario the court would be debarred from applying the statute that it deems unconstitutional. The refusal by an ordinary court to apply the statute would not necessarily infringe on the review powers of the Constitutional Court, as a plausible argument could be made that a review exercised by an ordinary court is limited and deals only with the case at hand. In other words it is in concreto review as opposed to in abstracto review by the Court. The latter deals with the law with an erga omnes effect and removes the unconstitutional provision from the “legal circulation”, thus acting more in the spirit of a quasi chamber of the Parliament, whereas ordinary courts are in charge of the administration of justice in individual cases. My argument falls somewhere in between the two lines of thinking. The system of government in Poland is based on the monopoly of constitutional review by the Constitutional Court. In other words the constitutional review is centralized. However, the assumption that underpins the centralized model is that the constitutional review by the Court is operational and effective. What if not? Depending on the circumstance of each and every case direct application of the Constitution could range from parallel application of the statute and the Constitution to self-standing application of the Constitution. For the sake of the argument, four situations should be discerned. First, the most common and uncontroversial, exists when a judicial decision is based directly on the statute, with the Constitution used as an ornament. Second, when the judicial decision is based on both the statute and the Constitution, the latter shedding light on the interpretation of the statute. Thirdly, there is a more radical version of the direct application which I call “transformative application”. Here the court is aware of the incompatibility of the statute and feels ready to make it constitutional by (re)-interpreting it in the light of the Constitution. The Constitution is no longer a mere source of inspiration, but provides a normative tool for judicial modification of the statute and which ensures its normative consistency with the Constitution. Beyond that third option there lies the “emergency review” with outright refusal to apply the statute, which is our fourth option. When constitutional review faces systemic and permanent dysfunction for whatever reasons, the emergency review must be resorted to. Such a review is defined by complementarity vis-à-vis the Court’s power of review. It accompanies, and runs in parallel with, the constitutional review of the Court, and does not replace it. Such review is instrumental to securing the respect for the Constitution’s status as the supreme law of the land. Constitutional defiance by the parliamentary majority must be countered by intra-constitutional resilience and trigger self-defending mechanisms from within the Constitutional text. It is important to make clear here that my call for an “emergency constitutional review” by the ordinary judges does not question the monopoly of constitutional review by the Court. Rather I am advocating for this review in order to shield the constitutional order from being further weakened and disassembled. My argument in favour of the domestic “emergency constitutional review” by the ordinary judges is further reinforced by the system of decentralized enforcement as the linchpin of the European system of judicial protection. European empowerment of the ordinary courts has already happened in Poland and undermined the Polish centralized model of constitutional review. Moreover, it was even accepted by the Court when it held in case P 37/05: “national courts shall not only be authorized, but also obliged to refuse to apply a domestic law norm, where such norm remains in conflict with European law norms”. EU law is based on the ECJ-made doctrines of direct effect (Vand Gend en Loos) and supremacy (“Costa – Simmenthal”) that constitute true building blocks of the new legal order to which EU law aspires. As for the enforcement, EU law looks to a national judge who is entrusted with overseeing the full effect of the provisions of EU law, if necessary refusing of its own motion to apply any conflicting provision of domestic legislation. The belief underlying this decentralized system of judicial review is that “it is not necessary for the court to request or await the prior setting aside of such provision by legislative or other constitutional means” (case 106/77, Simmenthal, para 24). National judges are called on to disregard any provision of domestic law (at least on the European Court of Justice reading of the supremacy, its scope is all-encompassing as it catches “any” provision of domestic law be it constitutional, statutory, sub-statutory and administrative decisions) inconsistent with the EU law and without waiting for the constitutional court to take a stand on the conflict. Logic of Marbury is clearly present here. Each court of a member state has the power of judicial review of national legislation in cases pending before them. Judicial review is limited to disapplication of conflicting domestic law in concreto in order to ensure the effet utile of EU law “here and now”. The constitutional court retain the power to declare such legislation null and void in abstracto or the national parliaments modify the legislation to make it compatible with relevant EU law. This judicial review is not an exceptional, but rather forms the backbone of the EU legal system and is exercised by national judges on a daily basis. All of this has already recalibrated the role of European constitutional courts and supremacy of EU law made inroads into their monopoly of constitutional review over statutes. Review of statutes for their compatibility with EU law is now within the powers of the ordinary courts. As a result the system is decentralized, or, as one of the Authors argued, “Americanized”. It is important to bear in mind the EU law mechanism, because it strengthens my argument in favour of “emergency judicial review” exercised by the Polish judges with regard to domestic law inconsistent with the Poland’s Constitution. “Emergency judicial review” entails the loss by the Constitutional Court of its constitutional monopoly over statutes. In exceptional situations the review of the statutes’ constitutionality might be exercised by the ordinary courts. Such review would be an extension to the national law of the decentralized enforcement already forming part of the EU mandate of Polish courts since 2004. “Marbury moment” in Poland. Are the judges ready? All this takes on special importance today when the Constitution is under systemic attack. At the same time, I am well aware of the challenges that my proposition entail. To understand the enormity of the task at hand, one should understand the historical baggage of the Polish judiciary (this goes also for other Eastern Europe judges). The bureaucratic model of the judiciary in the CEE countries sees judges as well-paid civil servants. Whereas in Western Europe the model evolved towards more independence of the judiciary, in Poland (and Eastern Europe countries in general) the trend was the opposite. The judges post-1945 were expected to be the vanguard of the socialist change and functioned as part of the unitary state machinery. The principle of democratic centralism prevalent in the former communist states stood for a system based on the centralized authority. The Communist Party held all the power and the obligation of lower bodies was to obey the directives of the higher ones. The Constitution was relegated to, and thought of, as a purely declaratory document with no normative content and no role to play in the judicial resolution of disputes. Judges were looked at as part of the unitary governmental structure, engaged in furthering the cause of building a classless society. Independence of the judiciary and the direct application of the constitutional document as a source of individual rights was not part of the communist playbook. The ideal judge was be subservient, passive and an uncritical enforcer of a statute, unwilling and unable to glean from the text anything beyond literal interpretation, no matter how unreasonable and unjust the results such an interpretation would yield. Heavy political and educational indoctrination and a simplistic vision of the judicial function and the legal system simply left no space in which an independent and critical judiciary could blossom and mature. Judging was purely mechanical exercise in syllogism, free of value choices and critical thinking. Judges were unwilling to look at the legal provision in its systemic context and accepted positive law as equivalent to the law. As a result the statutes and the law were one and the same. The ideology of bound judicial decision making as developed by the leading Eastern legal theoretician and philosopher of law Jerzy Wróblewski has been keeping Polish judges captive for decades now. This ideology rests on the textual positivism and formalism and stands for the limited law and limited sources of law, with the role of the judges reduced to the mechanical application of the legal text. The judges acted exclusively on the plain meaning of a statutory text and framed their decisions as the inevitable and the only correct deduction from the text in any case. As a result Polish judges has been rightly described as perfect examples of “textual judges” and impervious to the context in which the legal text operates. Their interpretation was and still is invariably code-bound which means that a judge’s role consists in simply reconstructing the pre-existing standards enacted and changed, when necessary, by the legislator. The so-called presumption of “rationality of the legislator” assumed that the legislator can do no wrong and provides ex ante for all possible circumstances in which law in the only form known to judges inscribed in codes, will be applied in the future. Should the existing law prove to be insufficient, it is not the business of the judge to override the clear textual meaning of the text, but for the legislator to amend accordingly. I would argue that 25 years after transformation, the approach marked by the mechanical approach to law and by textual positivism continues to be one of the most long-lasting legacies of communism. The fear of being creative and critical is omnipresent and every attempt by a judge to interpret the statute beyond the text is seen as an example of judicial overreaching and dismissed with scorn as inadmissible judicial imperialism. What follows is the self-imposed image of a judge, who, in the words of one commentator, resembles “an anonymous grey mouse, hidden behind piles of files and papers, unknown to the outside world …”, who is not used to “stand by his opinion and defend them in the public” which then results in the structural judicial independence, but no mentally independent judges. As one leading textbook on the subject succinctly put it: “the courts (of Eastern Europe) try to follow the letter of the law, however problematic and absurd the results may be which this course produces”. The legal world of an average Polish judge is dominated by Montesquieu, formalism and unflinching faith in the rationality of the law-maker. He/she is a true believer in what Lord Reid ridiculed 40 years ago as a fairy tale. Indeed for a CEE judge, bad decisions are be given, when he/she muddles the password and as a rule simply uttering “Sesame open up” should do the trick. As a result when a case breaks the mold and calls for more than just textual reconstruction, a judge is awe-stricken and defenseless and turns his/her eyes towards legislator pleading for … more text. The legislator acquiesces and enacts new text which is only good though until new controversy arises and a judge come knocking on the door yet again… What results is a vicious circle. This clouds my ambitious vision of the “emergency constitutional review” with uncertainty and lingering doubts as to its feasibility in practice. After all “emergency constitutional review” is based on the rejection of the unwavering belief among the judges that any case can be decided by relying on textual statutory arguments. It takes ordinary judges out of their comfort zone in a dramatic fashion as it makes the Constitution part and parcel of the judicial decision-making process. It calls on the judges to evaluate critically the statutes and it empowers them to fully embrace their forgotten role of being judges over the “Constitution and statutes”, not only judges applying and interpreting statutes. Having said that, what is needed today is a vote of confidence and trust in the Polish judiciary. As of today, Polish judges have their own constitutional promises to keep and these are no less than the Polish rule of law and democracy. They must not be idle and watch helplessly as the constitutional edifice crumbles. There are first signs that this is exactly what is happening and that the idea of “emergency judicial review” is being embraced by the courts. Few days ago, on 17th of March 2016 the Polish Supreme Court delivered a judgment (I am grateful to Professor Ewa Łętowska for bringing my attention to it) in which it declared unconstitutional one of the provisions of the Tax Code. Crucially, the Supreme Court found unnecessary to send questions to the Constitutional Court and proceeded with its own constitutional review of the provision in question. In the clearly circumscribed motives it pointed out a judgment of the Court from 2013 in which the Court has already declared unconstitutional provision in the Code which was identical to the provision under consideration by the SC in the case at hand. SC acknowledged that formally speaking the Court should be also given an opportunity to declare unconstitutional this new provision of the Code, because ruling on the incompatibility of statutes with the Constitution falls within the exclusive competence of the Court. However, SC referred directly to the unclear situation surrounding the Court right now and concluded: “Formalism cannot get better of the common sense. Bearing in mind the current exceptional situation, referring now questions to the Court would be incomprehensible to the interested parties”. “Emergency constitutional review” at its best. This ground-breaking decision might usher in a new era of the constitutional empowerment. Importantly tough, the SC took pains to precisely delimit and condition its emergency constitutional review. It made clear that its review does not exclude the competence of the Court. The latter continues to be the guardian of constitutionality in Poland. On the other hand, however, the SC was well aware of the attempts to marginalize the Court and undercut its powers. Refusal to publish the judgments of the Court could have been a straw that broke the camel’s back and prompted the SC to stand up and side with the rule of law. Should the constitutional crisis and the inability of the Constitutional Court to discharge its constitutional powers continue, SC might as well build on this precedent. The big question is whether this empowerment will trickle down to the lower courts? I have argued that the “emergency constitutional review” is not unthinkable. There is solid constitutional basis for it, and now further reinforced by the constitutional exigency. If anything, the unthinkable has been going on in Poland for last four months: flouting the Constitution, dismantling the Court, refusal by the President to swear new judges in, arrogating the power of constitutional review, attempting to retroactively extinguish the term of office of the current President and Vice President of the Tribunal, and most dramatic development of all, openly ridiculing the judgments of the Court by refusing to publish them. The constitutional review expounded here has been called “emergency” because it is triggered by the exceptional circumstances and the looming incapacitation of the Court. It must be exercised with the caution and restraint and be limited to egregious breaches of the constitutional standards and rights. Why does it all matter now? The governing majority in Poland should be aware that there are constitutional limits to their democratic mandate, and it is the judges’ province to set down these limits and enforce them in a judicious manner. A clear signal must be sent to the government and the Parliament that democracy did not stop at the polls last November. Democracy has been shifting for some time from predominance of electoral process to citizens-inspired movements that hold the rulers accountable between elections. My “emergency constitutional review” is part of what Pierre Rosanvallon called “Counter democracy” to capture how the democratic systems have been evolving from symbolic casting a vote to exercising societal control between the elections and irrespective of their results. Rosanvallon identified three methods whereby citizens can hold the elected to account: oversight, prevention and judgment. The first deals with the monitoring of the political process by the citizens and/or their organizations and with making the behavior of the elected more visible. The second takes on the capacity of the citizenry to mobilize and channel resistance to policies and decisions taken by the elected. Finally, the third, describes the juridification and trend for turning to the courts for bringing social change and/or enforce the limits put on the elected. The “constitutional emergency review” falls into the “judgment category” and must seen as democratic constraint on the will of the majority and the manifestation of the constitutional self-defense. The battle lines have been clearly drawn and it should be clear that the Polish government and Parliament will stop at nothing. All those who oppose it must now concentrate on finding ways to make sure that Polish constitutional system is able to defend itself from within. “Emergency constitutional review” is a good start to do just that. Making the Constitution operational every time the Court is denied its constitutional powers, is the priority of the highest order now. By “operational” I mean treating the Constitution by the judges as part of the law they are bound to apply and on which they must build their decisions. After all, when all is said and done and if there is one lesson to be learnt from Marbury, it is the “principle supposed to be essential to all written constitutions, that a law repugnant to the Constitution is void and it is the duty of the judges to say what the law is”. The moment Polish judges embrace and internalize this message, Polish rule of law and the Constitution will be given a new lease of life. At critical systemic junctures no methods are too revolutionary if they serve the objective of saving the Constitution and as long as they are backed up by its credible interpretation. Emergency situations call for unorthodox interpretations. “Unorthodox” does not stand for illegal, though as my proposition is within all four corners of the law. It calls on rethinking certain interpretational paradigms that have been almost taken for granted. Constitutions are supposed to have normative content as opposed to mere declaratory one. Fittingly for a letter from America, I want to conclude by quoting US Supreme Court Associate Justice Robert Jackson. In 1949 case of Terminiello v. City of Chicago writing for the majority, he said: “The choice is not between order and liberty. It is between liberty with order and anarchy without either. There is danger that, if the court does not temper its doctrinaire logic with a little practical wisdom, it will convert the constitutional Bill of Rights into a suicide pact”. His warning must resonate in Poland today as Our Constitution and its basic principles are faced with the existential threats that call for the constitutional pragmatism, not rigid doctrinarism. The time for constitutional self-defense has indeed arrived. V. F. Comella, Constitutional Courts and Democratic values, (2009), at p. 126, (brackets in the original). See English version of his most famous treatise The Judicial Application of Law, (1991), translated by Zenon Bankowski and Neil MacCormick. Z. Kühn, The judiciary in Central and Eastern Europe. Mechanical jurisprudence in Transformation?, (2011) at p. 201. P. Rosanvallon, La contre – democratie. La politique á l’age de la defiance, (2006) and English edition Counter – Democracy. Politics in the age of distrust, (2008). SUGGESTED CITATION Koncewicz, Tomasz Tadeusz: “Emergency Constitutional Review”: thinking the unthinkable? A Letter from America, VerfBlog, 2016/3/29, https://verfassungsblog.de/emergency-constitutional-review-thinking-the-unthinkable-a-letter-from-america/, DOI: https://dx.doi.org/10.17176/20160330-093907 .